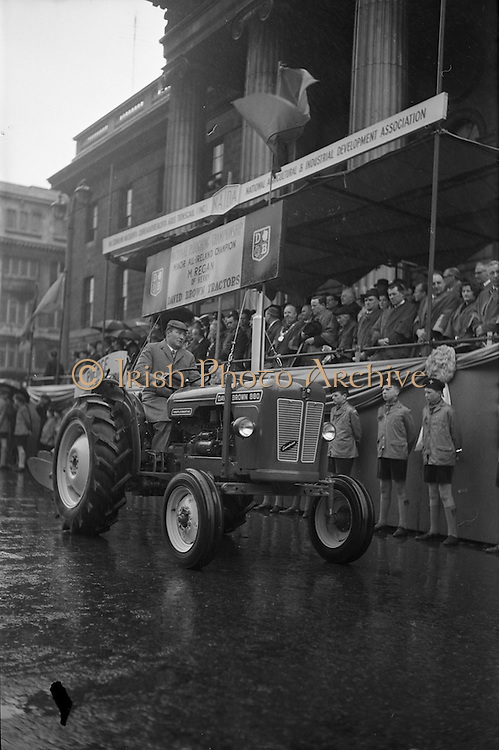 M. Regan, Minor All-Ireland Ploughing Champion from Co, Kerry on a David Brown 880 tractor in the N.A.I.D.A. St. Patricks Day Parade, passes the G.P.O. Dublin.